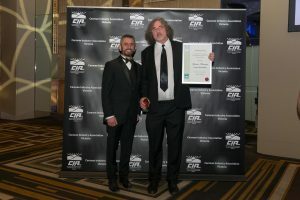 CIA VIC Recognises Excellence within the Caravan Industry! 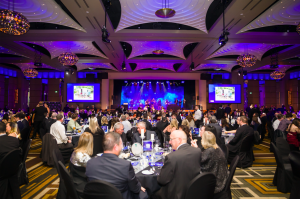 Friday 7th July 2017, The Caravan Industry Association Victoria (CIA VIC) hosted its prestigious annual Hall of Fame Industry Awards and Gala Event held at Melbourne Crown Palladium. 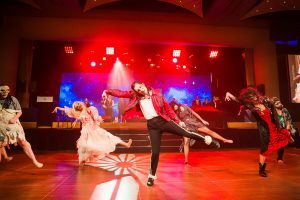 The theme was set, 65th Anniver sary – Making memories through the years which was re-enforced with spectacular musical, dancing and visual tributes to the eras from the 1950s to current day. 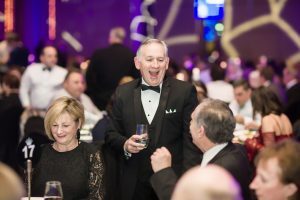 The Association has a long tradition of recognising people who have contributed so much to the industry, and the prestigious Hall of Fame Awards recognise both past and present pioneers of the industry. CIA VIC have recognised four well deserving pioneers and legends of the Caravan Industry and inducted them into the CIA VIC 2017 Hall of Fame. These inductees have made significant achievements within their business and are well-respected within the Caravan Industry today. The Business Award nominations were assessed by four independent judges, the award’s recognise members for their outstanding business and personal performance throughout the past 12 months, and takes into account a wide range of criteria. The quality of the nominations this year were extremely high and businesses are now using the busine ss awards as an opportunity for reflection and improvement. This year all Business Award winners were fortunate to receive an advertising package valued at $25,000 from Parable Productions / What’s Up Down Under. A prize of this value will be of great assistance to all winners and allow them to access marketing that they may not have had in the past. The Caravan Industry Association Victoria would like to congratulate all the 2017 finalists and Winners. George Pantazopoulos Young Achiever Award went to Craig Greenaway from AL-KO International. Charlie Tebb Service to Industry Award went to Ian Grant from Ian Grant’s Caravans. Excellence in Caravan & RV Manufacturing Award went to Nova Caravans. Excellence in Dealer/Retailer of the Year Award went to Carac Caravan Accessories. Excellence in Service & Repair Award went to Advantage Caravan Repairs. Also acknowledged on the night was James Manson, who received the Media Award in Recognition for Outstanding Commitment and Promotion to the Caravan Industry. The event has been running for five (5) years now and they recorded their largest attendance to date – over 550 people. If you are interested in finding out more about CIA VIC visit their website!